Looking to leave the first track in the snow down the mountain? With the Cruise HS Thermo Jacket Men, you're all set for the slopes. The robust ripstop outer material reliably repels water, while its PFC-free DWR treatment makes the hard shell jacket durably water-repellent. A fixed, elasticated snow skirt prevents snow from penetrating from underneath if it sprays up during bends or when changing direction. 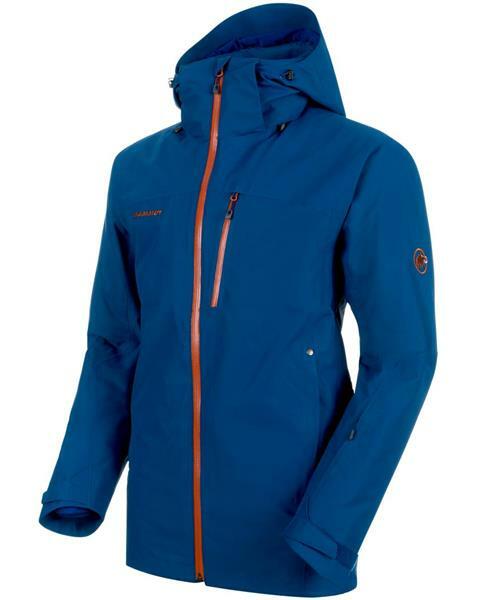 The Cruise HS Thermo Jacket Men's synthetic filling keeps you warm, even when it's cold.